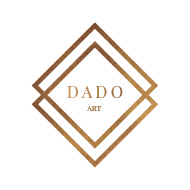 Hi, and welcome to DaDo ART! An artistic brand built on love, inspiration and creativity. I love creating and experimenting with different designs and concepts. Iam fascinated by shapes and colors. My taste is very diverse, from very clean and minimal lines, to vibrant colors and flower designs or trendy fashion designs for girls. I find my inspiration everywhere, in life, in nature, light and in art itself. My works are always created with love and positivity and Iam happy to share this energy with you!